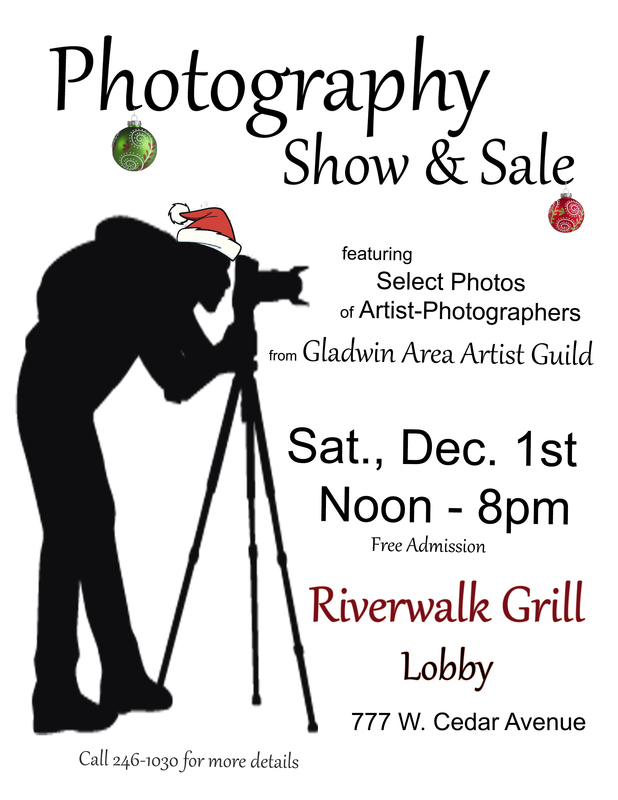 The Gladwin Area Artist Guild is thrilled to highlight its photographer-members with this one-day show and sale of photography on Saturday, Dec. 1, from noon – 8:00pm in the lobby of Riverwalk, 777 W. Cedar Ave., in Gladwin. We invite the community to chat with the artists and view their extraordinary work before having a delicious lunch or dinner at Riverwalk Grill. Since Dec. 1 is the same date as the Gladwin Lighted Holiday Parade, you may just want to stroll into town after dinner to enjoy the festivities. What a great way to find unique art for holiday gift-giving and kick-off your Christmas spirit!